and the poor wages and conditions suffered by sweatshop workers in developing countries. Several organisations tried – without success – to design a machine which could process hemp fibres. In low-wage countries this process is carried out by hand under difficult conditions. Though not as easy to grow, flax can be machine-processed. In Ireland Irish linen is still produced. Most of it is used for high quality table linen and a small amount for ‘apparel’ . 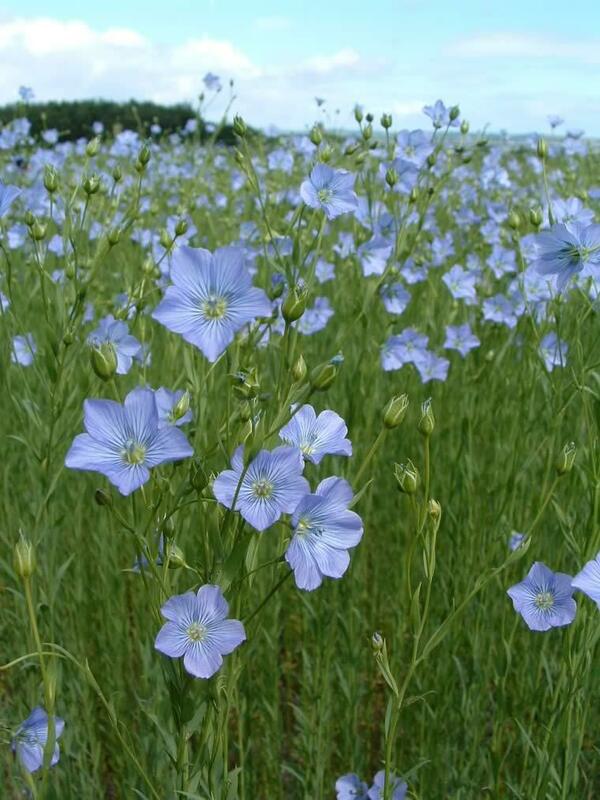 There are few known flax growing projects in the UK, but historically the crop was cultivated here successfully. Then, throughout the industrial revolution, there was a gradual drift towards manufacturing with imported cotton. Stronger than cotton, but not as elastic, flax fibres can be used to make a range of goods including bed linen, paper, rope, string, beats, eco-building materials and clothing. Just one acre of the crop can produce 1500 shirts. The seeds can also be used to make oil and are often recommended as a nutritional supplement as they are rich in Omega 3. 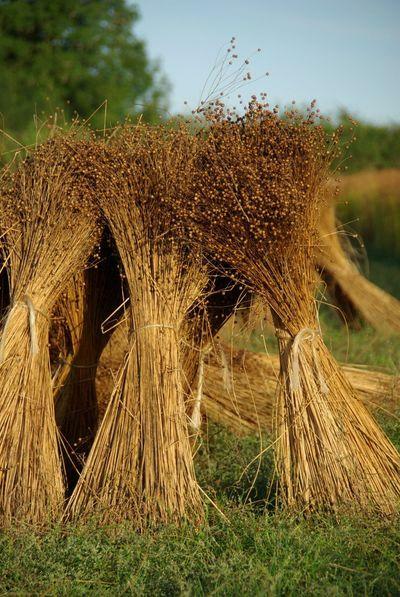 Flax is grown in the Cotswolds, processed by hand in the traditional manner. It was good to read about another small project in this country. Flax was grown in the fields round Manchester 200 years ago and the textile industry, of which flax was a part, was a driver of the industrial revolution. Once again flax is being grown on disused brownfield land, in order to produce a special Manchester fabric – an initiative set up by sustainability charity MERCI (pronounced murky). 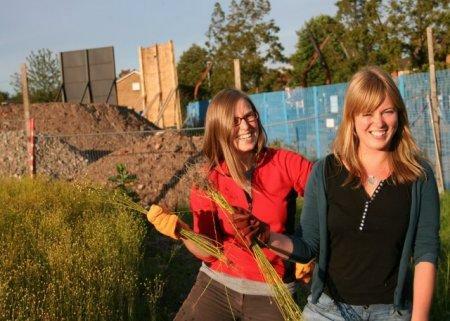 A series of workshops are now being held to help the local community grow their own flax in gardens and allotments. It would be good to see – in due course – flax textiles offering new employment opportunities in this country, reducing dependence on oil for fabrics [polyester] and transport.